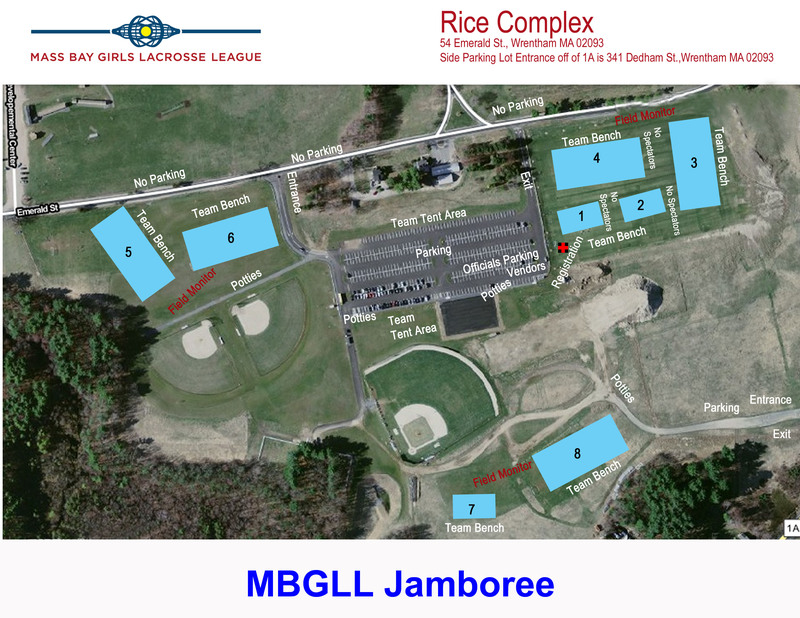 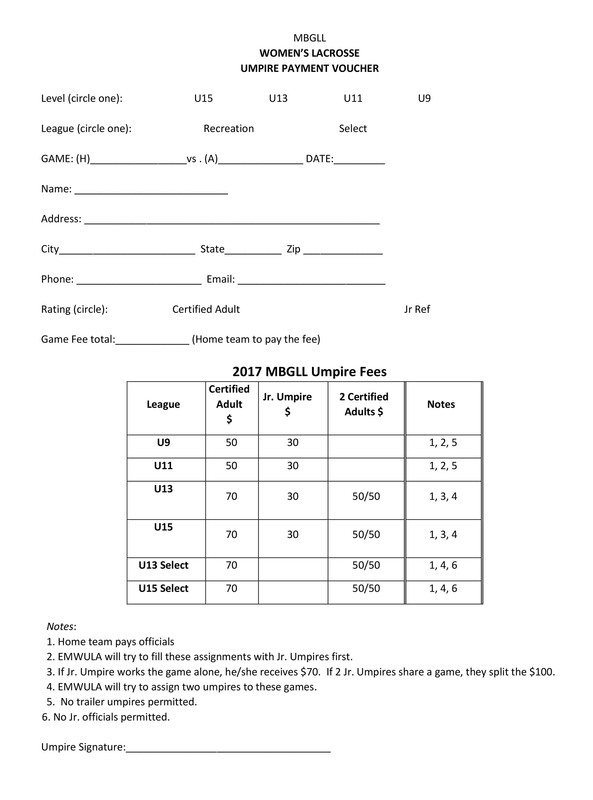 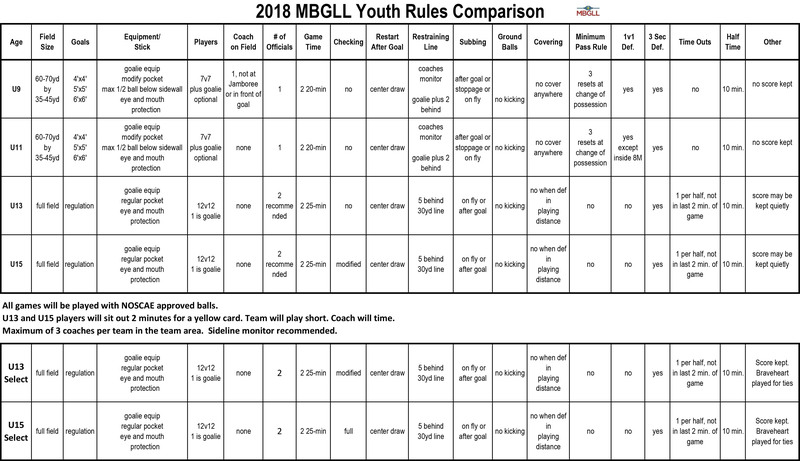 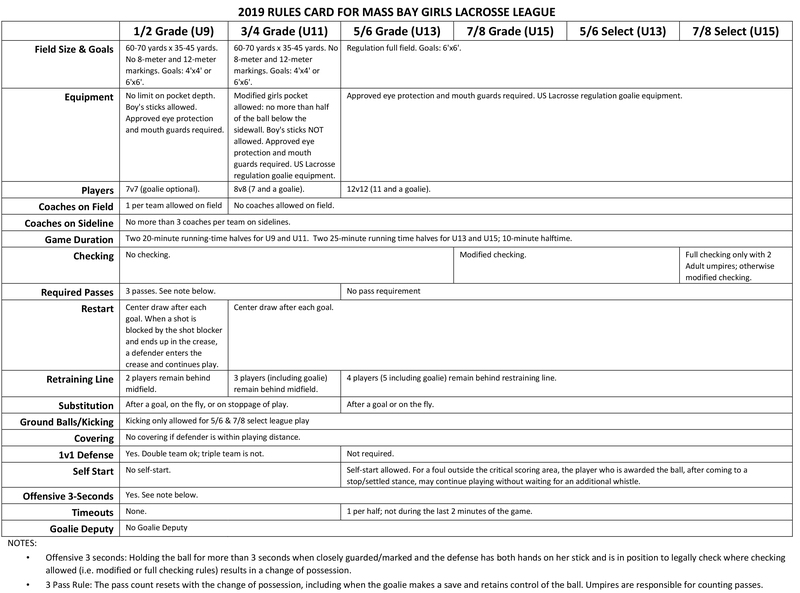 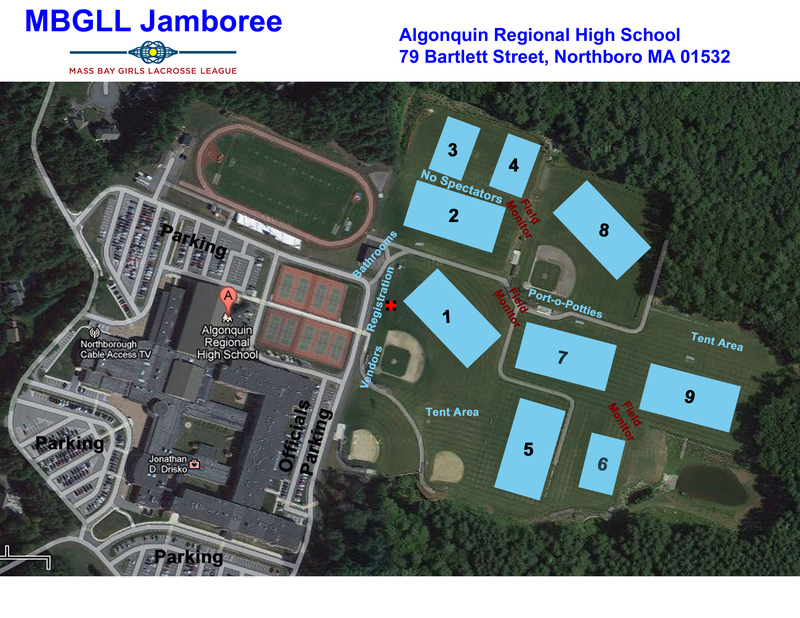 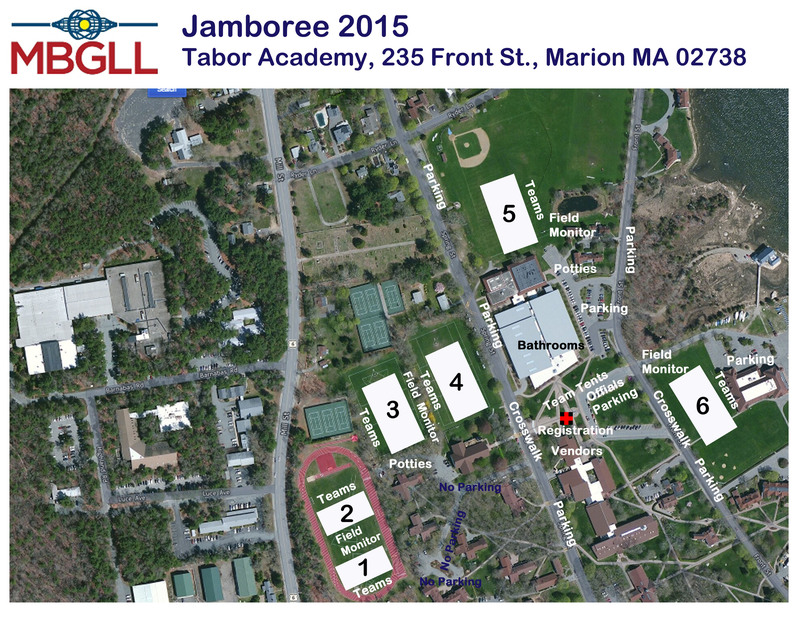 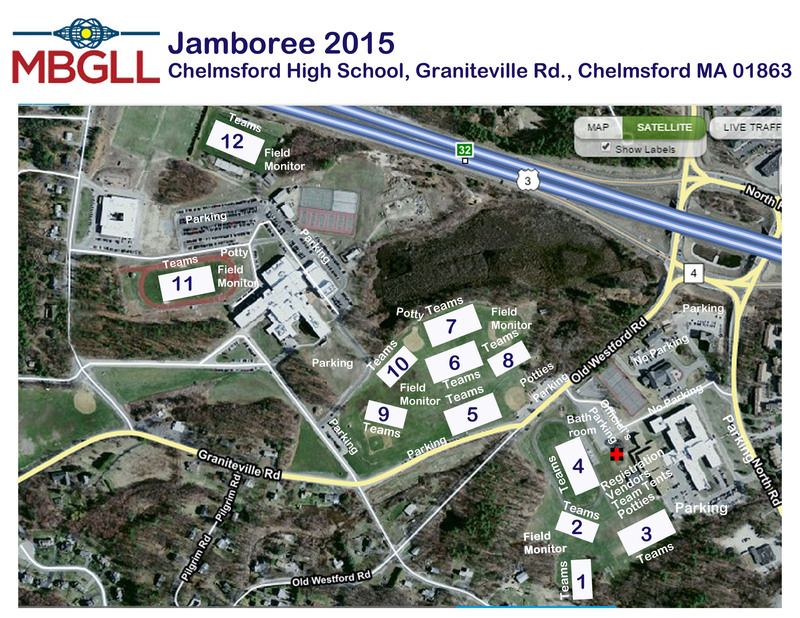 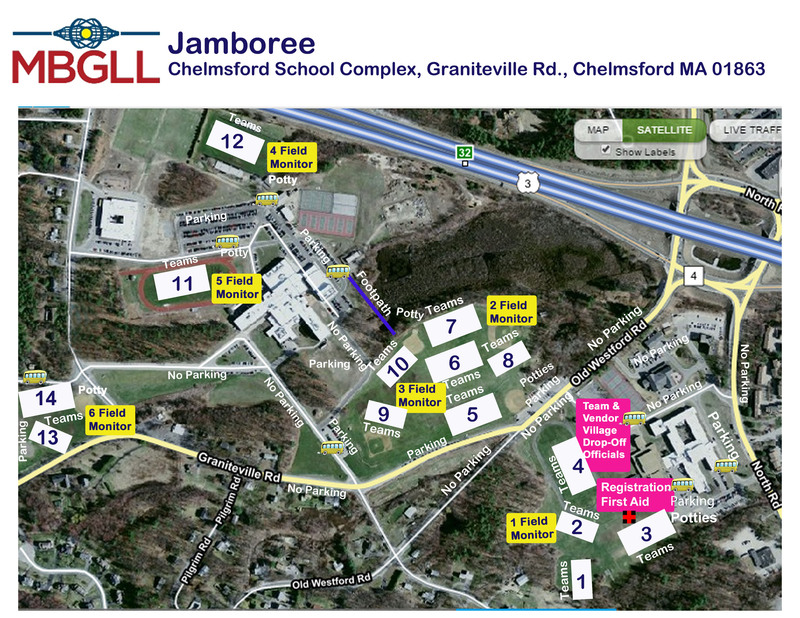 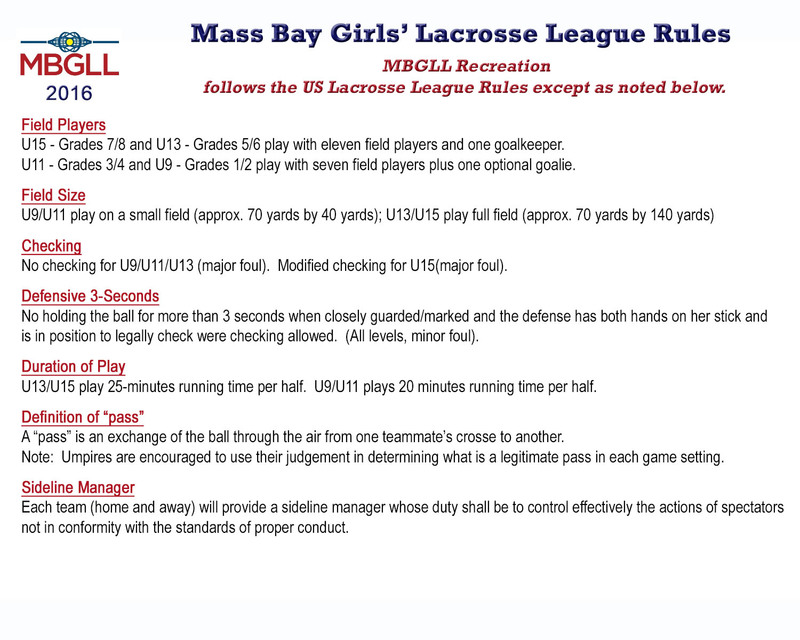 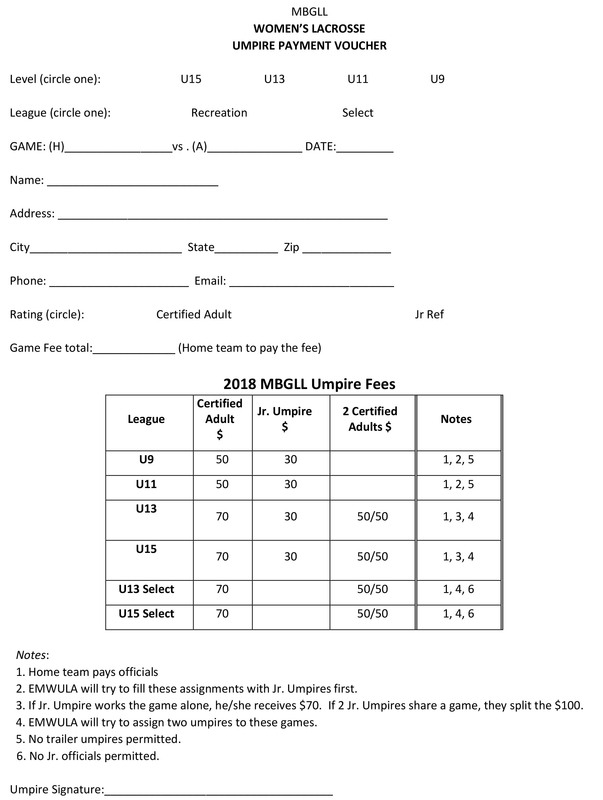 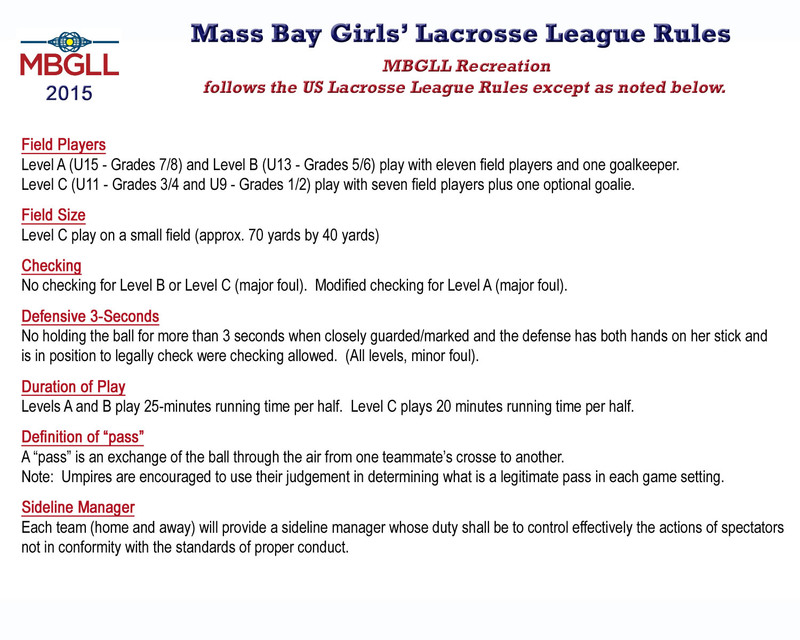 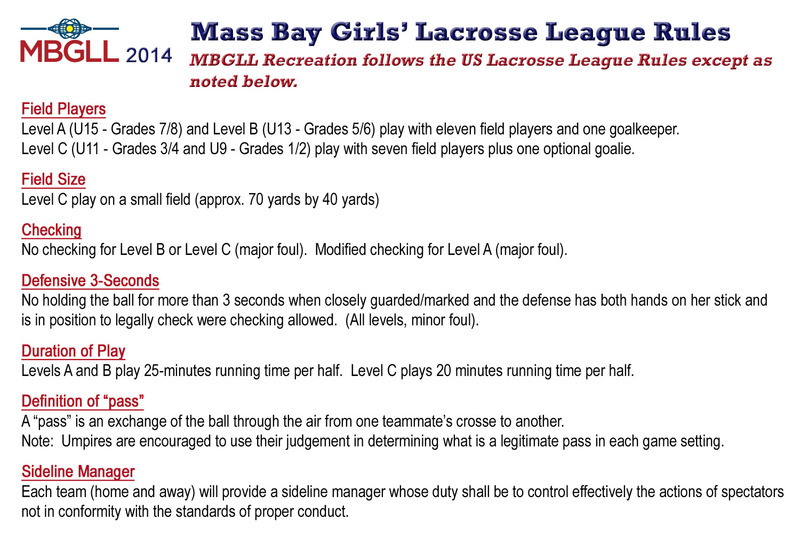 Jamboree For Coaches *- Information regarding the MBGLL Jamboree - specifically for coaches. 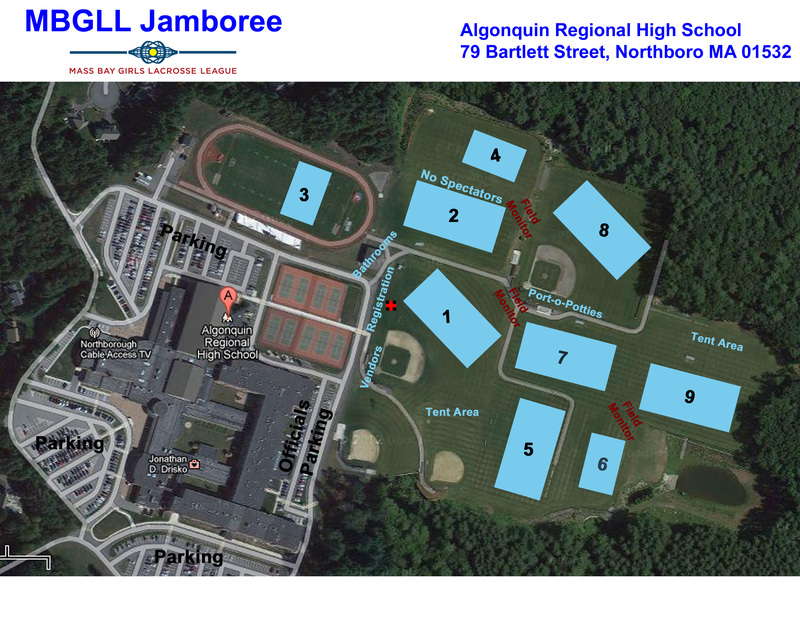 Jamboree Schedule - 6/16/2012 8:00 PM *- Updates as of 6-16 @ 8:00 PM. 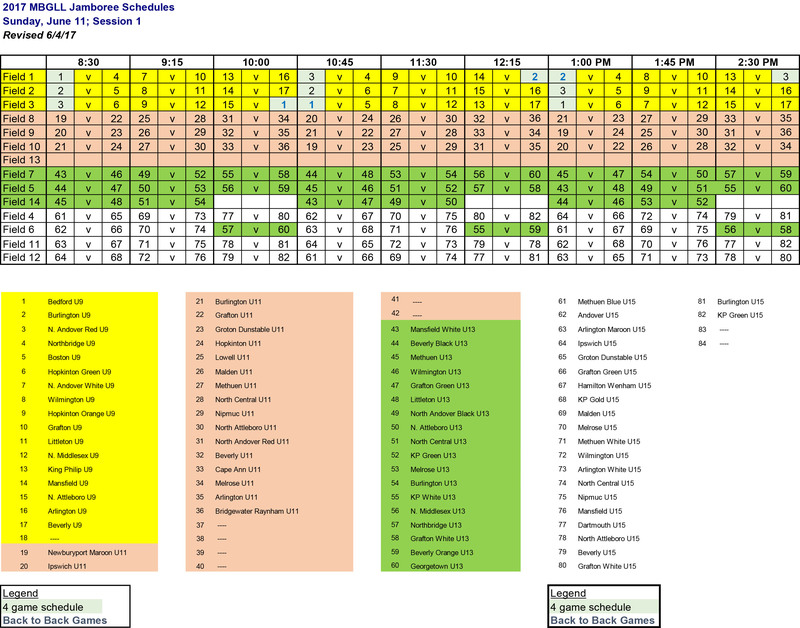 2 teams dropped out and another team was added requiring changes. 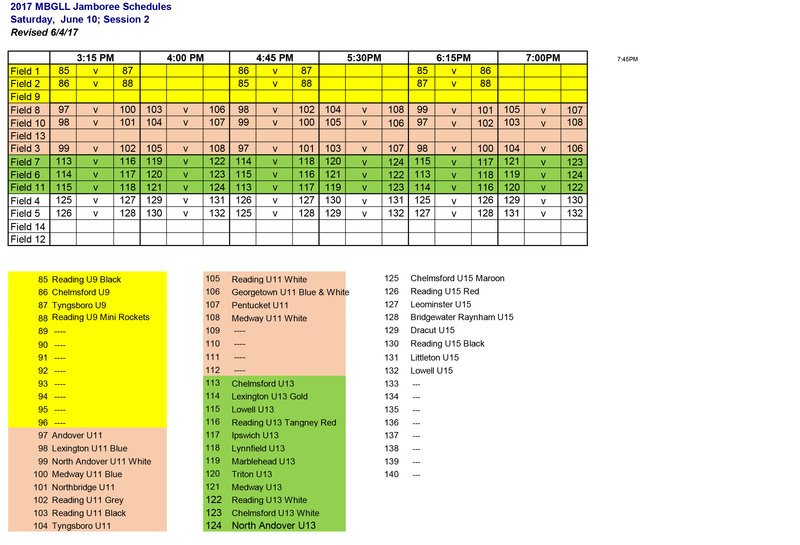 Franklin PM - U9 schedule redone. 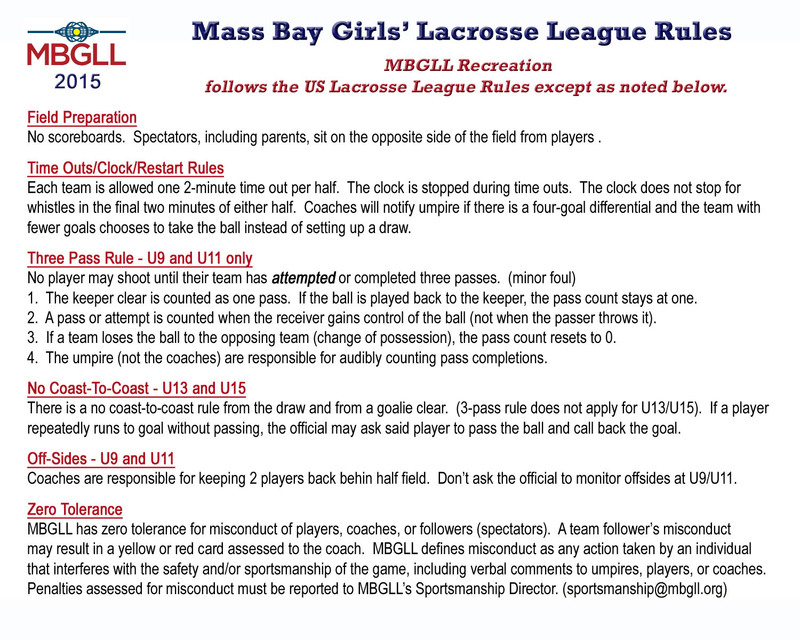 Please check opponent, field and time. 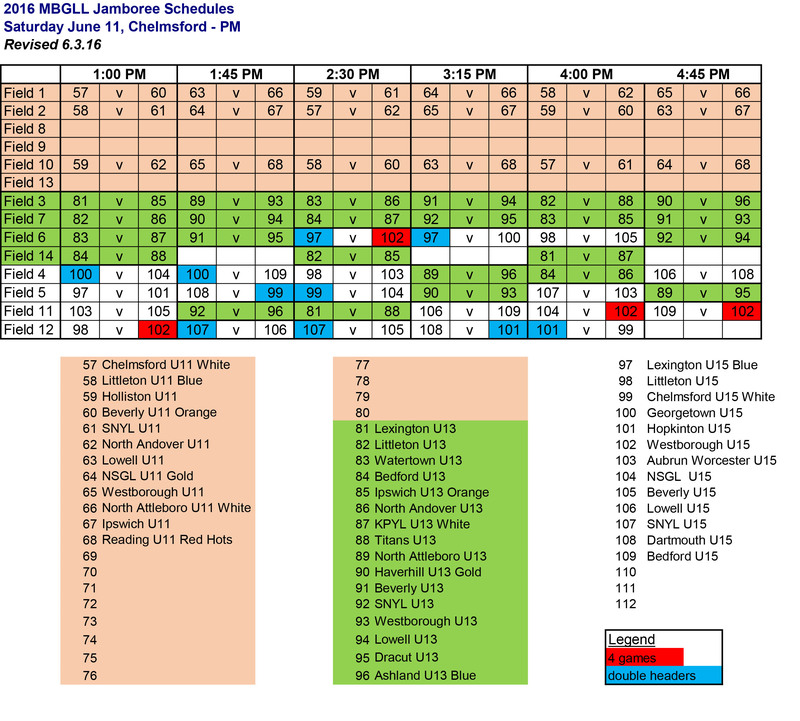 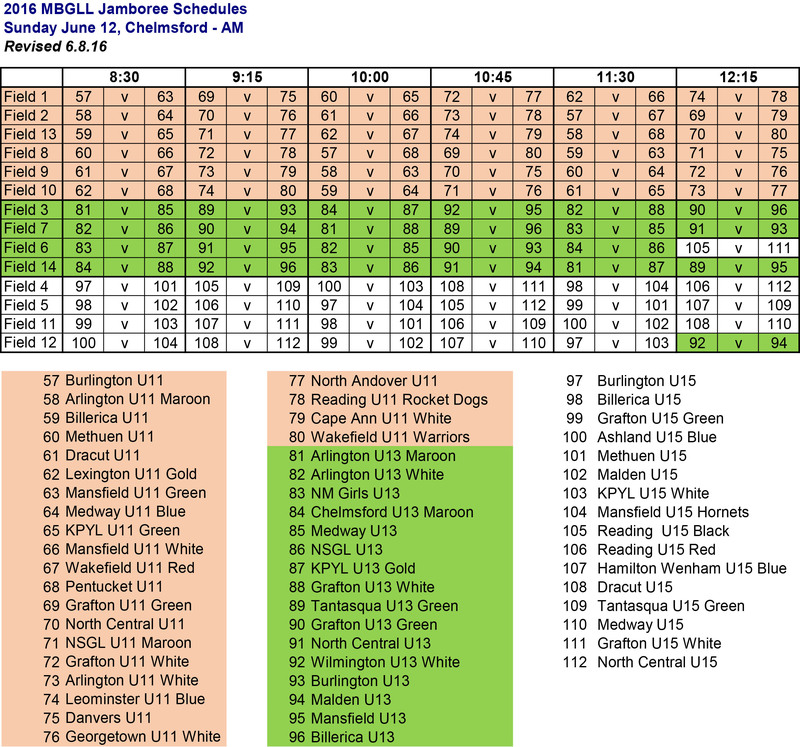 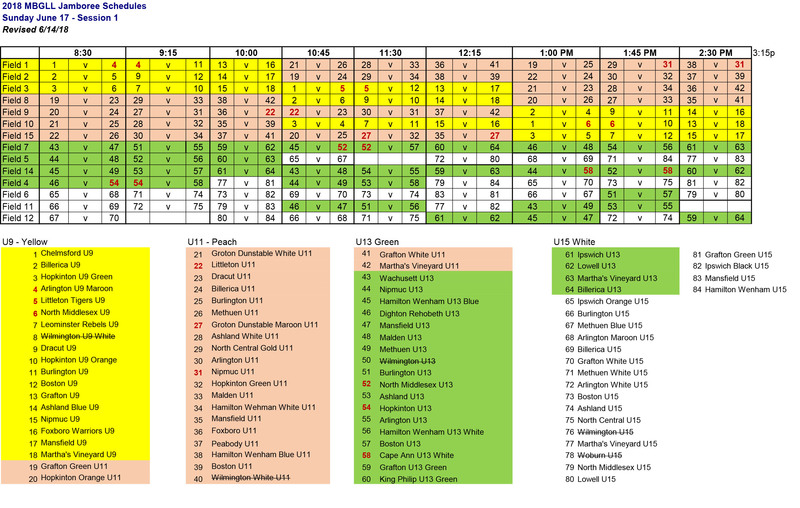 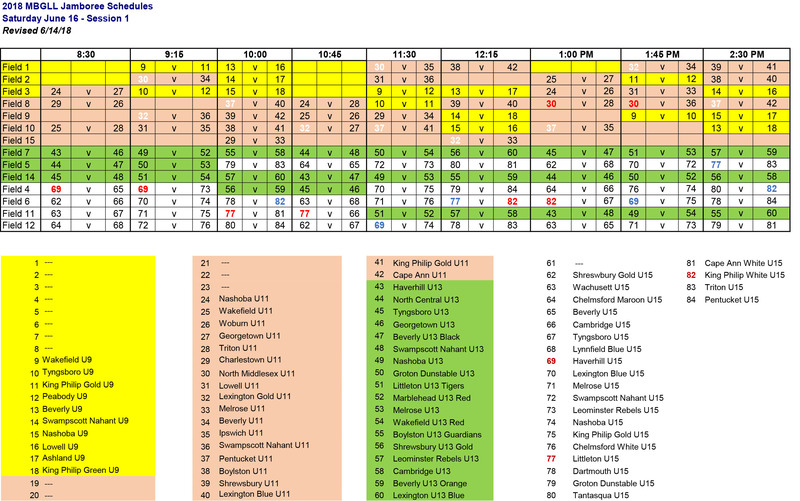 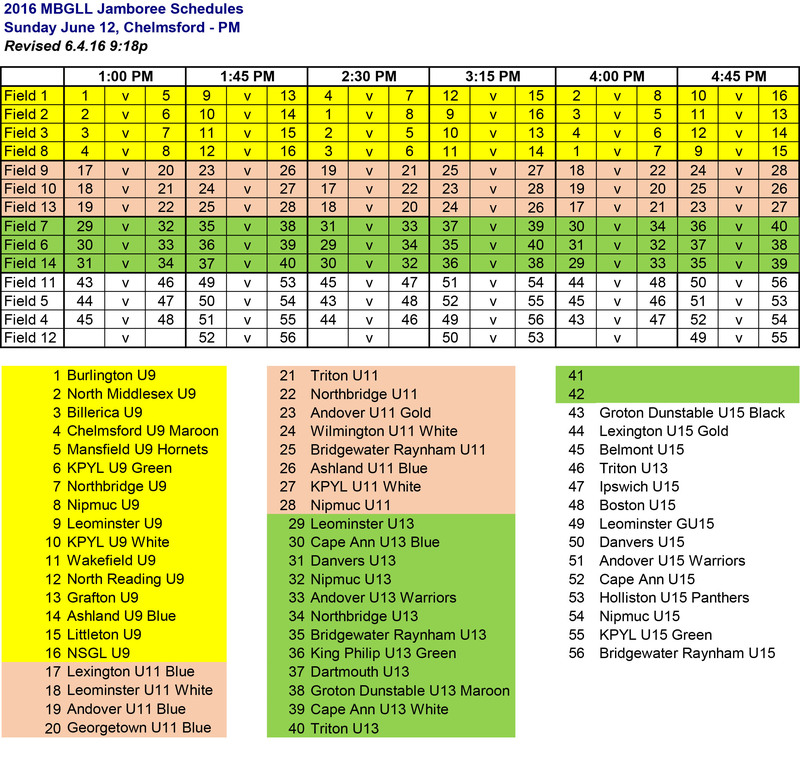 Byfield PM - U15 schedule redone. 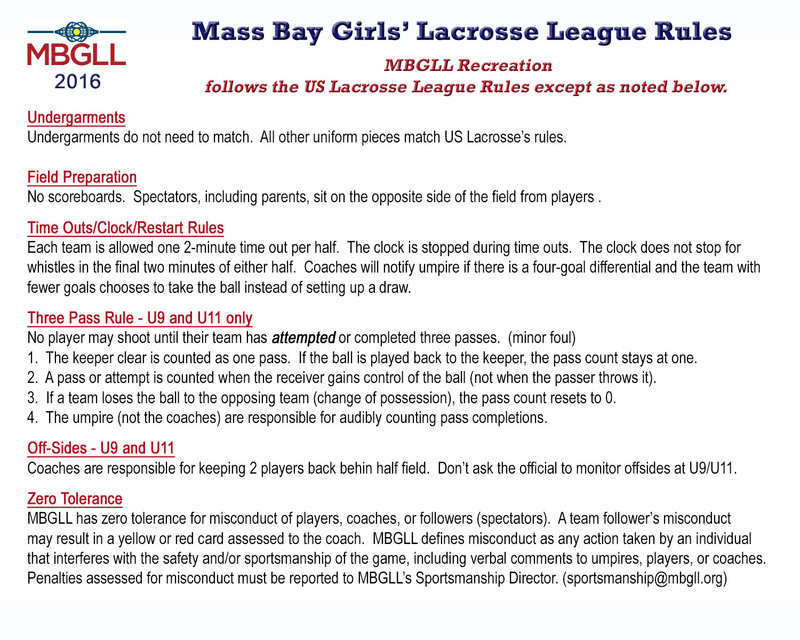 Please check opponent, field and time. 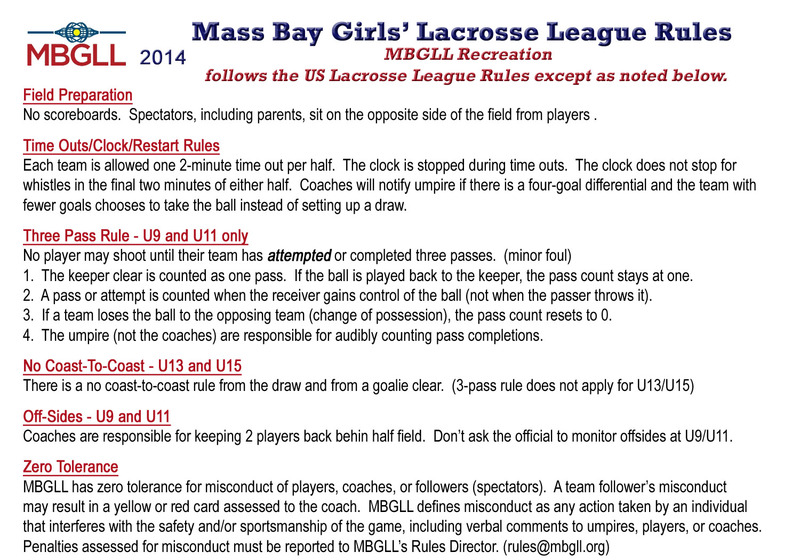 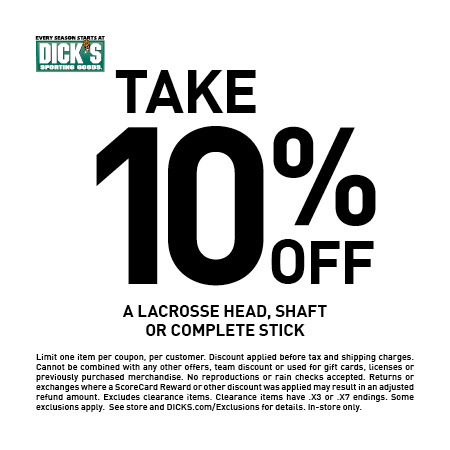 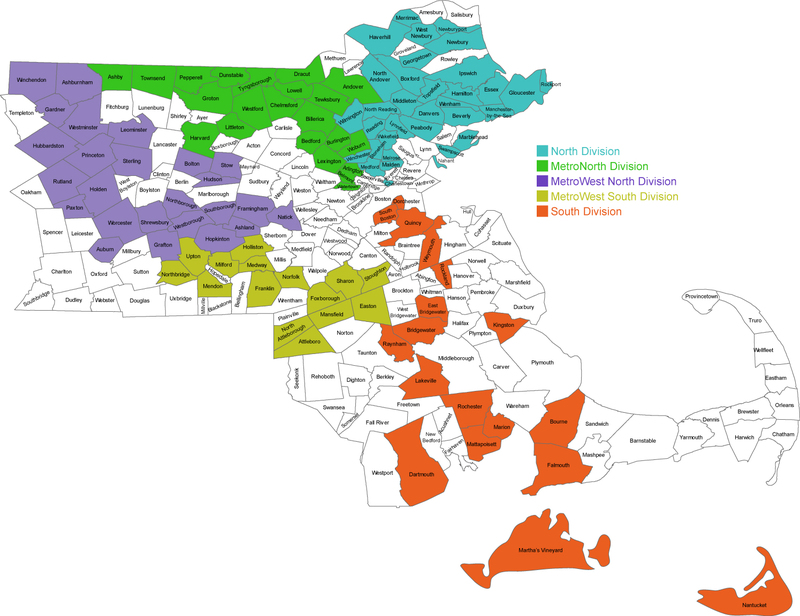 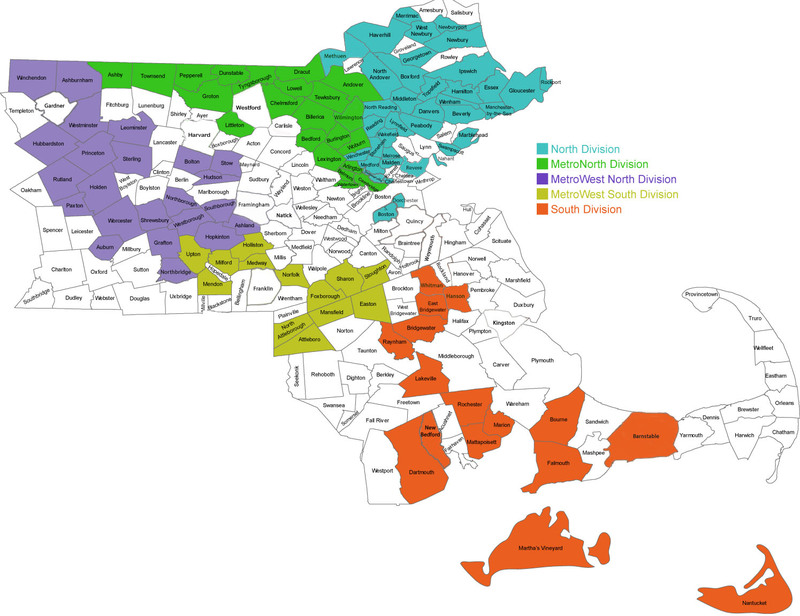 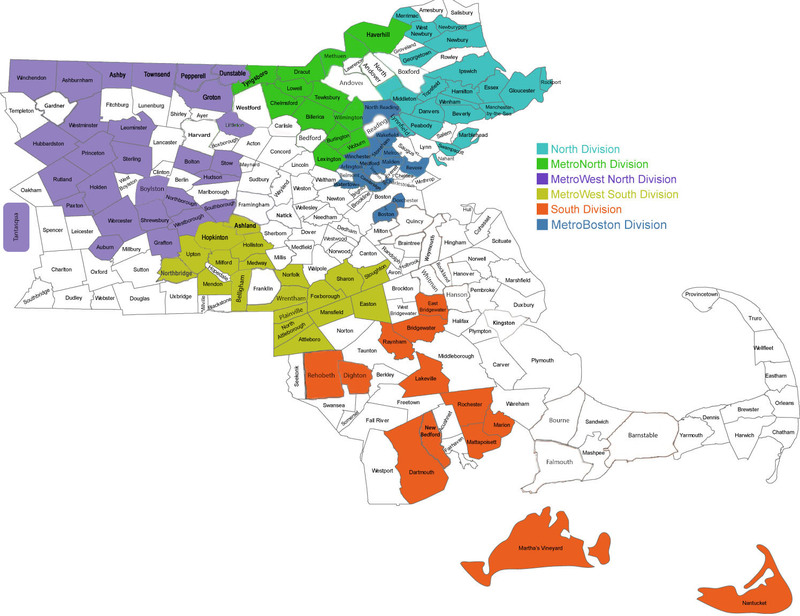 Newburyport plays extra game. 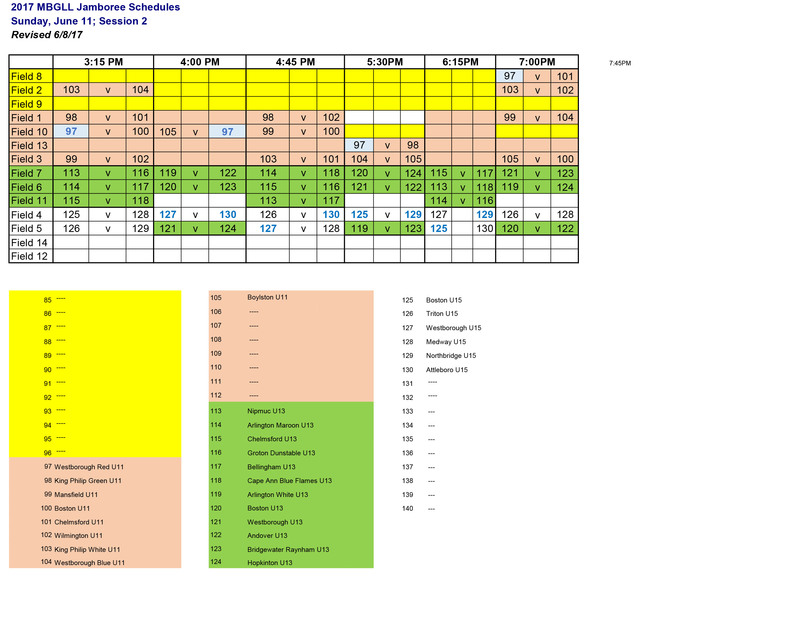 Updated schedule with all 6 sessions. 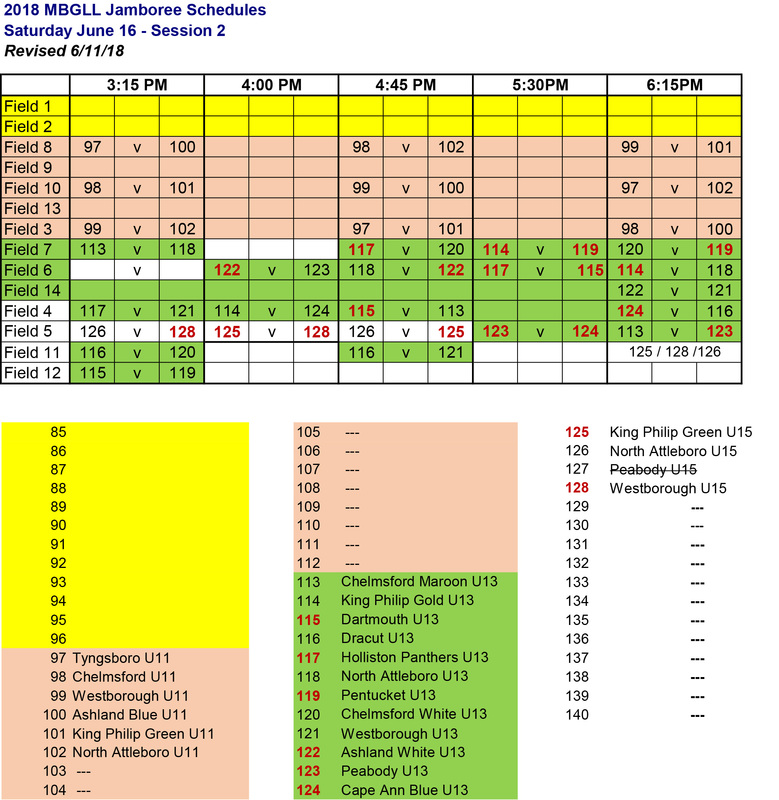 Some games moved within a session to align fields and umpires. 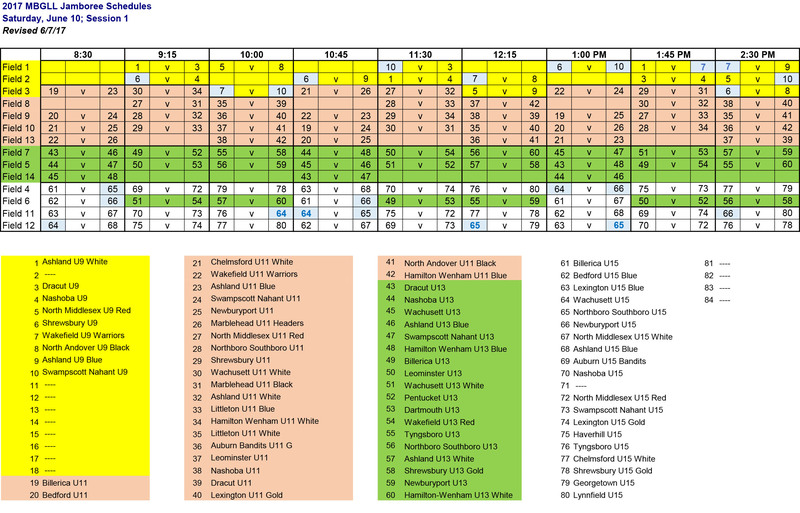 Teams with a '4' next to their name play 4 games. 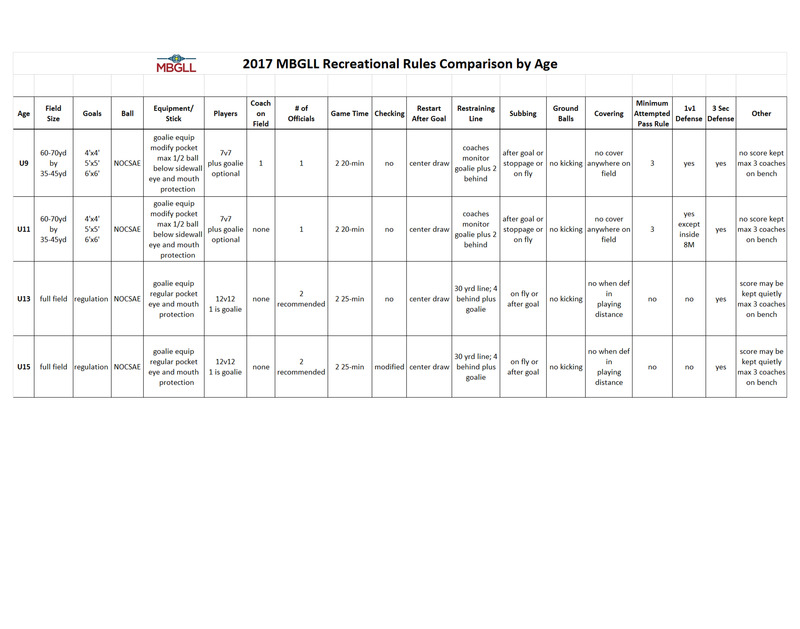 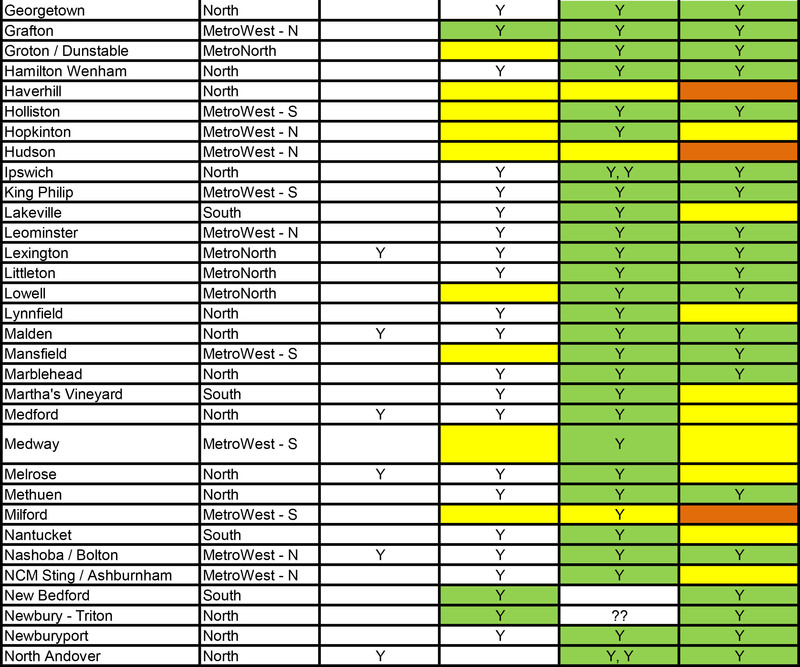 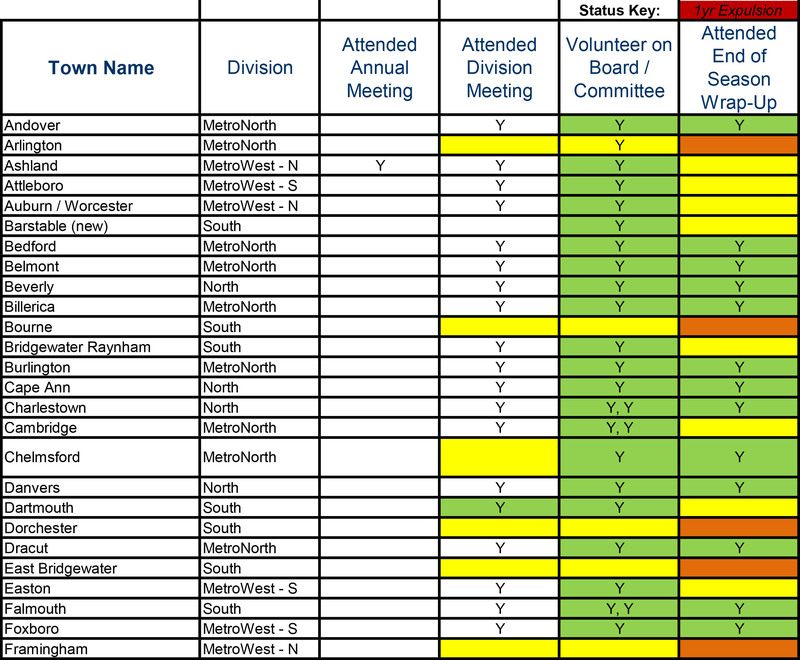 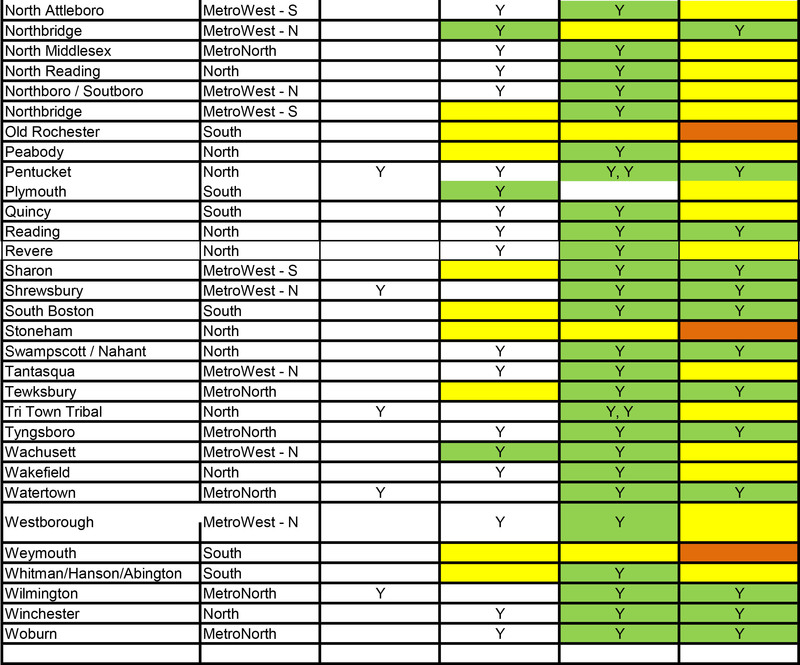 Survey Results 2012 *- Results from MBGLL's 2012 summer survey.